American fridge freezers are becoming increasingly popular in the UK and Europe, first appearing in our homes in the 1970s. Most households are used to the traditional design of fridge and freezer stacked on top of each other, an American style appliance is unique because it places them side by side. However you must be cautious when choosing the correct appliance engineer to repair your fridge freezer. Because they are not as popular yet as our standard fridge freezers, many appliance engineers are not as conversant with them as they should be. Being approved as a premier service centre for a reputable manufacturer such as Samsung should assure you of the skill our engineers possess. 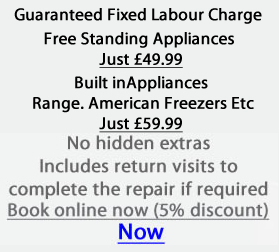 However, we also repair the following makes of American fridge freezers. Fridge not cooling? Freezer not freezing properly? Noisy fans? Ice makers? Door seals? Water bottles? Filter changes? Door alignments? 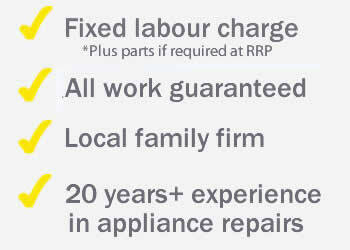 Whatever your fault or your needs we can resolve it for you quickly, efficiently, and a very reasonable price.